After surviving endless hours of being flung from bus to coach and back again, Kate and I despite being somewhat languorous, were eager and ready for all the adventure the infamous Vang Vien had to offer. Our bus shifted relentlessly from left to right eventually emerging from the dust which had fanned out from the worn out dirt road below us. We arrived at an ordinary looking street brimming with the usual bars and restaurants, behind us however lay a very distracting yet seemingly recent landmark. The characterless yellow beast of a building, the ‘Roung Nakhone’ Hotel dominates the local skyline and was a clear indication that we were not the first foreigners to have set foot in Vang Vien. ‘Tubing’ the most prized pass time in Vang Vien, consists of drifting down a fairly tame river which lays surrounded by stunning Laotian countryside and making stops at bars placed alongside the river. In the past few years ‘Tubing’ has become relatively infamous in south-east Asia, with sources stating up to one tourist dies a month whilst on the river. Clutching firmly onto our rented tubes we plodded fearlessly towards the first station to see what all the fuss was about. Instantaneously we were bombarded with a party atmosphere, although exciting it was fairly confusing given the time of day. The short red skinned bar representative hopped about the place beaming with excitement, we grabbed a beer each whilst glancing at each other nervously. A lively bar in the heat at 2pm felt more than a little peculiar. Feeling slightly intimidated by the overly enthusiastic bar rep we allowed little time to be spared before escaping to the nearby lake. Crisp and refreshing, the water enveloped all the folds in our skin. 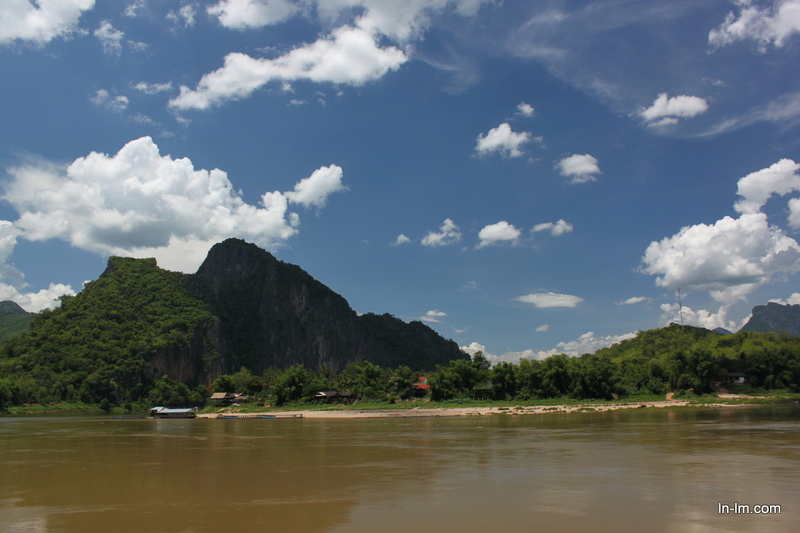 Above us there was nothing but sky and more jaw dropping examples of the serene mountainous scenery Laos had to offer. Perching back and peering upwards to the clouds as the tranquil river manoeuvred us downstream was such a memorable moment from the trip. You feel like a kid again, but this time there’s no pre-assembled plastic tunnel in a water-park to ride your tube down, instead you have the whole untouched outdoors literally on your fingertips. In the middle of this animated picture frame floating over a pebble floored, surrounded by peeking cliffs and no one else to be seen for a mile or so, I felt oddly at ease even though at the same time I was vulnerable to my surroundings. Interspersed cliffs continued to cast their shadows onto us while we progressed further into the river and my brief but beautiful moment of blissful isolation was over sooner than expected. Greeted by the faint murmurings of Miley Cyrus we arrived at bar number two! Here we finally decided to stop being such killjoys and up our game a little. We became friends with a German couple and ordered a few drinks. I shot back a local Lao whisky followed by a few beers. This bar definitely had a better atmosphere than the previous one, there was a volleyball court and plenty of space to sit back and bask in the sun. Two more bars followed, here the atmosphere was a little lacklustre and the only highlight to report was watching an old bearded man dance around to no music with this strange giggling girl latched onto him. Even further downstream from the bars, it felt like we had escaped the backpacker party scene and were free to explore at our own pace. Unfortunately the thunderstorm which approached us from behind sadly had other ideas. We ended up scurrying out of the river and hiring a ridiculously overpriced tuk tuk to get back to the town and towel off the damp rain whilst eating warm bowls of rice and water spinach. To reach the blue lagoon (pictured above) we rented out scooters and navigated our way through even more exotic farmland. This place was really special, the lagoon itself is beautiful but what made this day so significant to us was the atmosphere surrounding the little blue pool. Local families and visitors from every corner of the globe sat together laughing at the fools (including us) who flung themselves from the trees into the water. The water was freezing but despite this taking regular dips quickly became very addictive. Sat laughing and people-watching we made friends with a Colombian couple and a Vietnamese guy who shared our good mood, we ended up chatting for a good while about the area and our home countries. Occasionally in-between we’d spur each other on to jump from the highest tree branch we could find into the water. The leaf obstructed view down at the chilly water would have been enough to make a Lion’s heart rate rise. Although reluctantly, I did end up making the plunge and despite pains all over my body, the adrenaline was a great kick and I was silly with laughter for the rest of the day. Sipping on our Mango shakes at the bean bag filled bars along the main strip, the time for us to journey to our final destination of the trip rapidly approached. Squeezing in beside a strangely over affectionate middle-aged Russian couple and a group of late 20 somethings we managed to slot into a comfortable-ish position with our bags piled onto our laps. I can easily say that the ride that followed was the most visually breath-taking drive I have ever experienced. Separated from us only by a thin sheet of glass, lush hills of numerous shades of green seamlessly blended into one another. Clouds fearlessly scraped the peaks of the mountains that overshadowed our feeble path shared with us only by the locals. The unmapped villages we passed were full of souls going about their daily business, cleaning themselves, moving livestock, fixing roofs and children playing games. What an escape this was from the confinement of mindlessly rewriting notes for the past four months in the medicine library. These people were alive, surviving amongst this fairytale backdrop. I was fully aware of the perspective that these people living in this environment may feel restricted and face difficulty in meeting their basic needs but aside from that there was something very enchanting about witnessing these communities survive together in small settlements from behind my window. I mentioned to Kate if I ever end up passing my driving test I would love to come back and revisit the places we passed on that drive. If I also ever happen to live in Singapore again, and by some magical occurrence I stumble into a lot of money, I would buy my holiday home in Luang Prabang. The UNESCO world heritage city is a handsome oasis of peace which made a welcome change from all the fast paced chaotic urban environments we had seen throughout our travels. 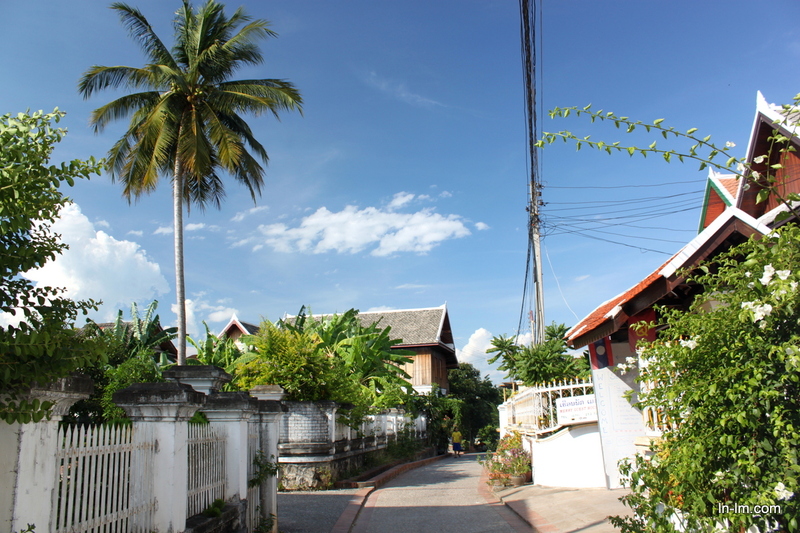 Everyone seems so laid back in Luang Prabang, the atmosphere is reminiscent of a sleepy beach town, although there’s no sea nearby for miles. We found ourselves joyful to roam random streets looking at French influenced buildings and enjoyed gift shopping in the glowing night market filled with local crafts. Even when making your way past market stalls it was impossible to feel any pressure to buy things. It was brilliant! Late in the afternoon of that day me and Kate embarked uphill to get a good view of the sunset, from our hostel it was hard to miss Mount Phousi (Photo above). Locating a rather lonesome staircase we began our ascent, half way up is where we encountered a young novice who was attending school at the nearby temple (Photo at top of post). 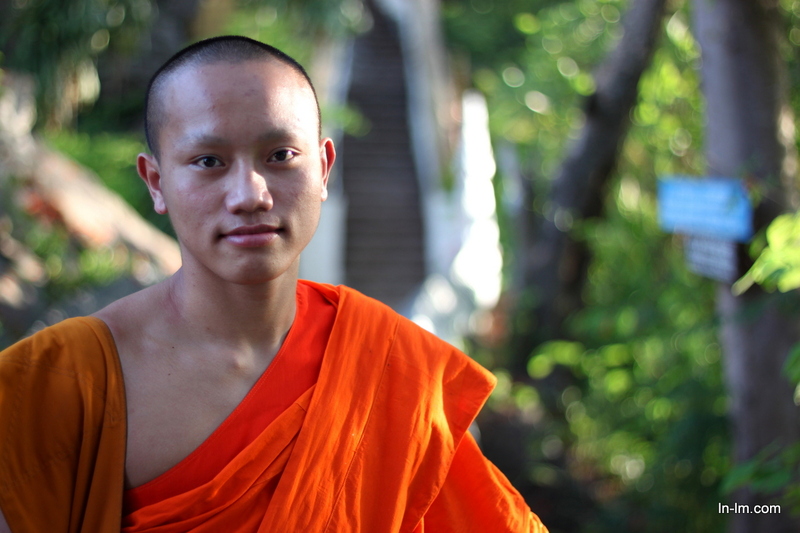 He approached us requesting if we could assist him by allowing him to practice his English, considering he had only been learning the language for a few months we were really impressed at how well he could communicate to us. After asking him a few questions about his home and how life was at the temple we ended up getting a surprise tour of where he prayed. We were really lucky to have found him along our way and he was so kind to us, and learning a little about the life of a novice was a really nice addition to our evening, especially after all of those stairs. Considering how little time it took to get to the peak it offered some graciously beautiful views of the surrounding hills and buildings. When we visited, the site was a bit crowded. I feel a lot of people would be off-put by this but I found it to be a great spot for people watching and for the first time I didn’t mind the crowds that much. The sun elegantly descended behind the peaks of the distant mountains while it’s light was dimly illuminated the reflections of the Mekong river below. 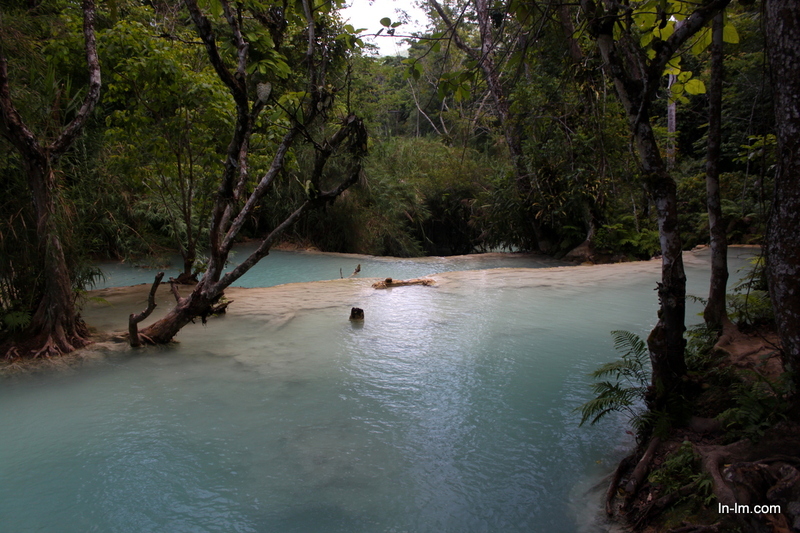 The Kuang Si waterfalls are the major natural attraction in the north of Laos. 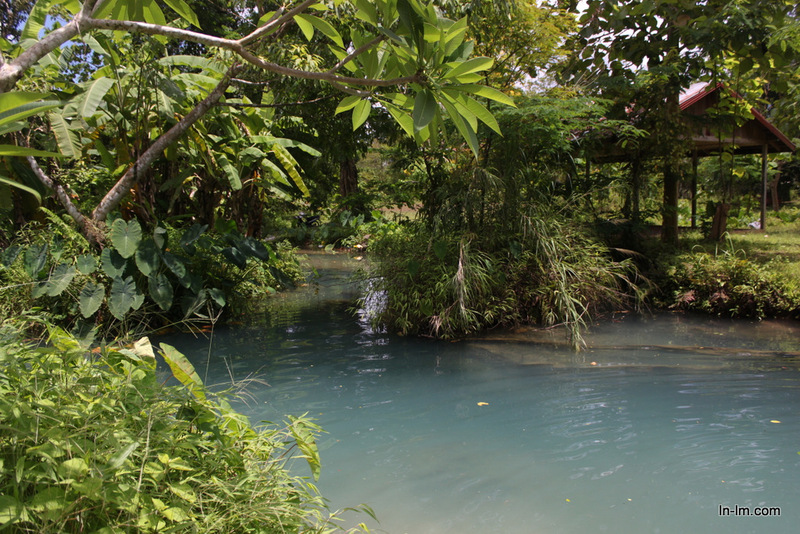 We had such a good time at the Blue Lagoon but if we had visited it after the Kuang Si waterfalls I’m certain we would have found it underwhelming. These waterfalls seem as if they are a fragment of heaven which escaped from the skies and landed amidst some of Earth’s most beautiful greenery. Thankfully there was no need to pinch myself in disbelief as there were plenty of freshwater fish swimming alongside us to do that for me. 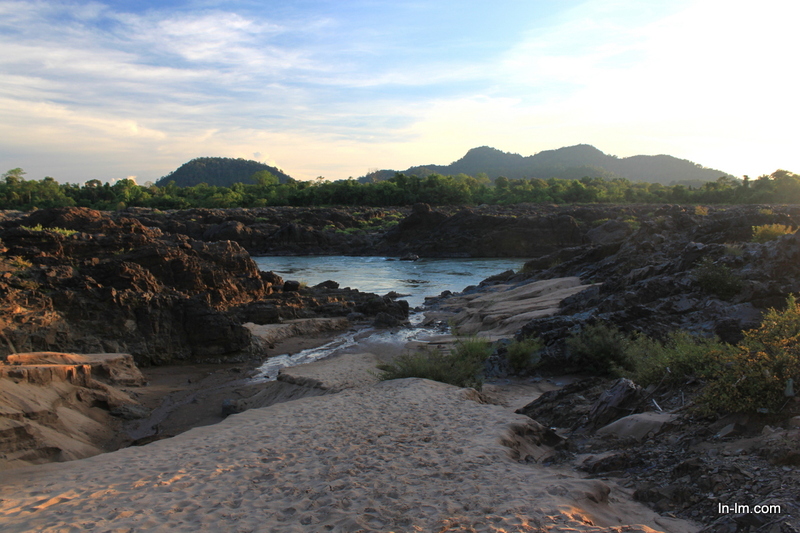 The lagoons dotted underneath the main falls are nature’s answer to man’s dreams of infinity pools. We wasted the whole day blissfully floating in the tranquil waters under the shade of the vibrant surrounding foliage. It was the best possible way to end this chapter of our adventures in South-east Asia. Managing to find time for one final excursion before the start of term, I held tight to my print-at-home boarding passes as I waited in the Luton airport departure zone. My chin rested on a soon to be confiscated bottle of water as I glanced intermittently up to the departures board. The last time I’d seen Alex was only a few weeks ago when she was visiting London. Almost days after I’d waved goodbye to her at Piccadilly tube station I had fixed my sights on an affordable £70 return flight to Zürich. Being the shameless nature freak I am, I sat bright-eyed and feverish at the prospect of experiencing the Swiss countryside which had been plastered and boasted about on chocolate wrappers I’d witnessed countless times growing up. My beloved friend Alex is a Swiss humanoid of Chinese descent currently studying at the University of Zürich. We met last year in Singapore and after a few iced coffees and some waffles we decided each other was alright. We’ve experienced a lot of good times together including reaching Singapore’s laughable summit and voyaging to the idyllic Pacific Island of Pulau Tioman, this trip would be a great excuse to add to the list of memories. The only problems about our reunification would be a) that I would be reminded of the fact Alex, a non native speaker talks better English than me and b) I would need to readjust to keep up with the amount of irony in our conversations. My easyjet flight was 20 minutes delayed so I hurried my way through baggage collection and border control (where I encountered a man who did not seem to like my surname) to be greeted by the familiar face I was here to see! Within roughly 2 hours from being on UK soil I was sat in Alex’s sophisticated student kitchen devouring her pasta and juice whilst she lectured me on all the locations she wanted to go this week. (I’m sorry I wasn’t paying much attention, the pasta was really good). As the sun hid behind the horizon we met up with one of Alex’s friends who’d accompanied her to London and had a wander around central Zurich at night. From the bar at the Urania Observatory we witnessed some superior views of the slumbering city. 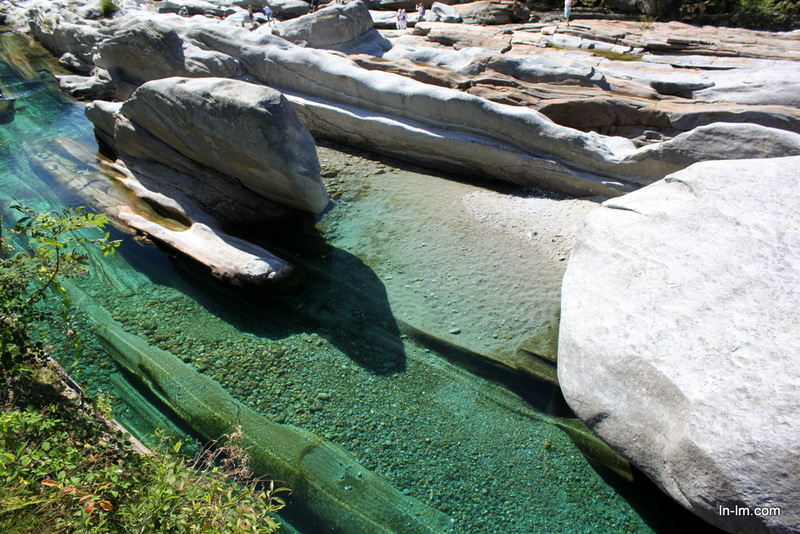 Following an early awakening, we dashed onto numerous trains and buses until eventually we found ourselves smittenly gazing upon the sparkling green waters that rest in the Verzasca Valley. The scenery was breathtaking as the gentle river casually meandered between the colossal mountains smothered in greenery that surrounded it. Character filled settlements made cameos outside of the bus windows frequently during our journey, By far the most prominent of these man-made creations was the staggeringly elegant Catholic church with a stone front, which along with the scenic ‘Bridge of Leaps’ marks the starting point of the trail. The water here is truly impressive, your eyes are left free to explore the bottom of the riverbed with only the glimmering reflections of the sunlight acting as distractions. 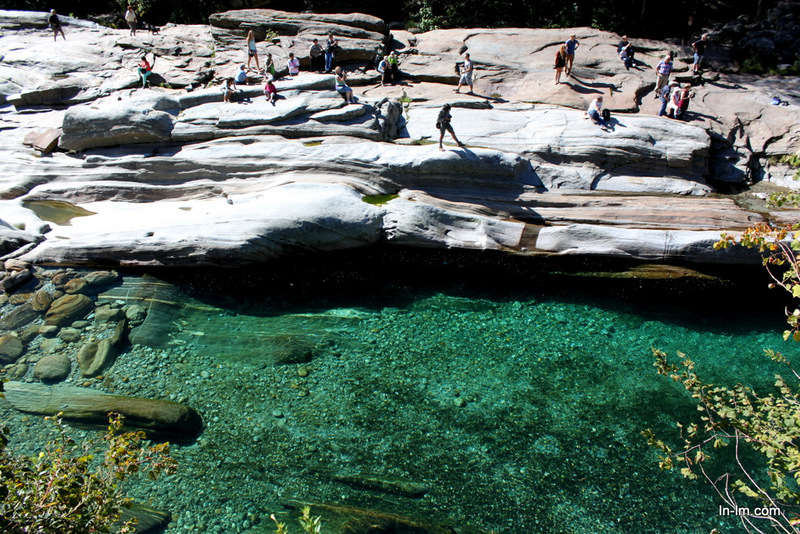 The stone that surrounded the river bed was also of interest, the distinct layers of rock are clearly visible and the indentations of the rock alongside of the river made for peculiar places to squeeze your body into. Our hike led us to discover more hidden gems along the river bank, the majority of our time was spent wandering in the woods that rested at the foot of the valley, occasionally stumbling into a waterfall or two along the way. We made numerous attempts to submerge ourselves the water but shamefully none were of any success. The deepest I managed to get into the water was to my knees, which within 5 seconds the glacial water proceeded to cut off my circulation as I lost the feeling in both of my feet. Pitying ourselves at how disappointing our cold tolerance remained, we chose a small flat river island made of polished marble like stone as our lunch spot. The glorious surroundings made for the most breathtaking backdrop I have ever had during lunch. A definite benefit of bringing a packed lunch instead of allowing a restaurant owner to pick your lunch spot. We consumed various pieces of Swiss bread, dried meats and grapes as we sat admiring the views on our conquered piece of land. 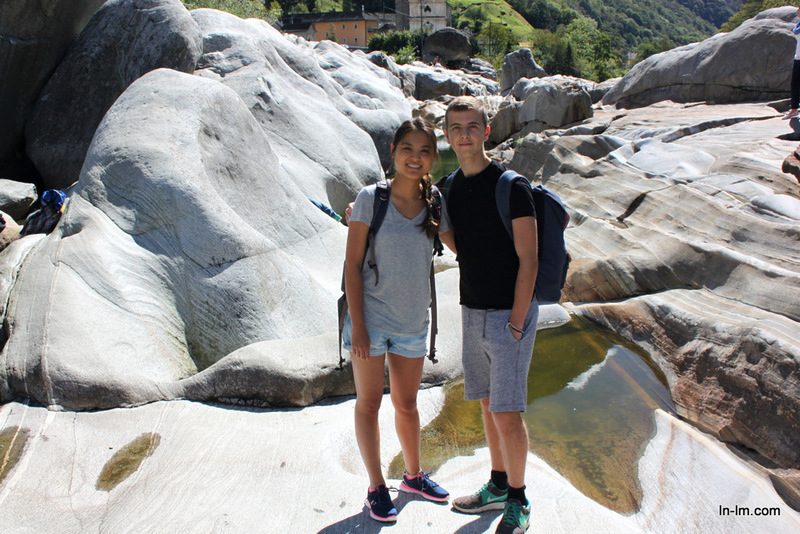 After a few hours of repeating the formula of stopping every ten minutes to admire the beauty of the same majestic mountains from a slightly different angle, we reached a bridge leading us back to the other side of the bank where a bus awaited to take us to Bellinzona. As usual I was heartbroken to be leaving this bewitching valley with its bright emerald waters and unusual stones. There was nothing too complex about the area to discuss, it was simply a place of consistent natural beauty showcasing merely a sample great outdoor space that remain in Switzerland. 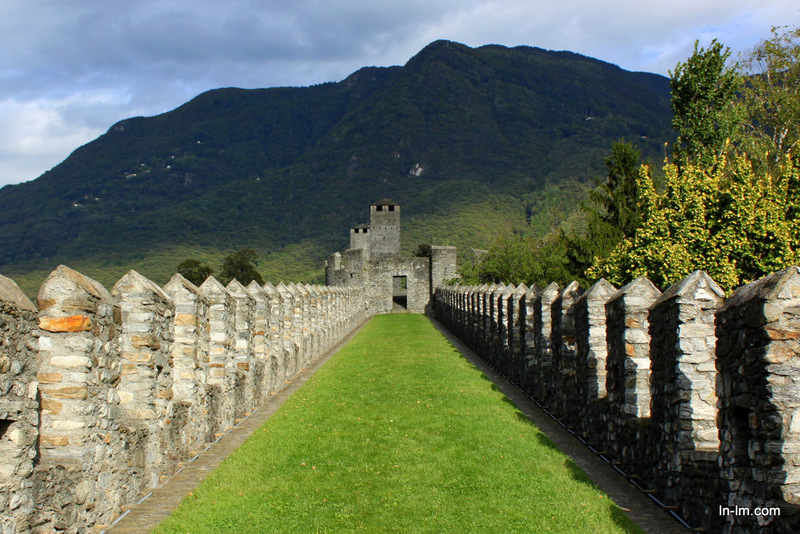 Stepping out of the bus onto the attractive streets of Italian speaking Swiss town of ‘Bellinzona’ helped to comfort me slightly. The town proved to be a sophisticated little metropolis laying discreetly in the shadows of grand stone castles which peered down at the town from their position high above in the surrounding hills. 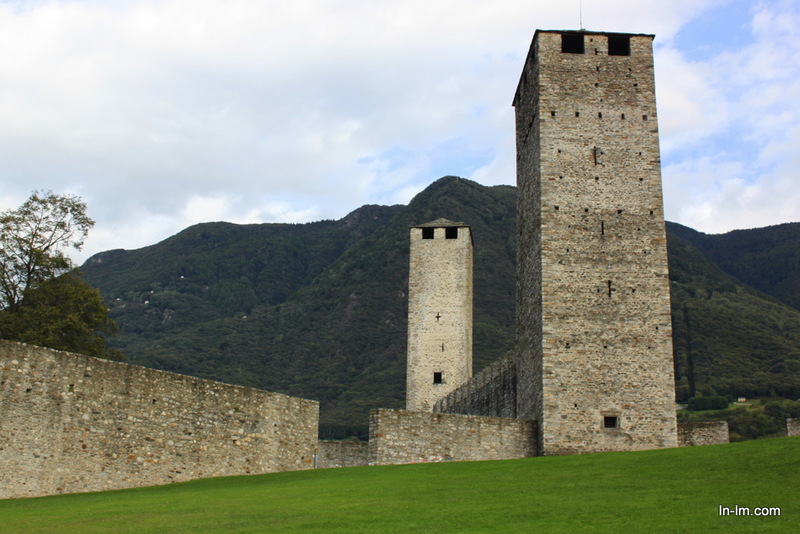 The three castles of Bellinzona are impressive sights, all three are considered UNESCO world heritage sites and are easily reached by elevator. They offer an array of impressive views over the city, as well as the connecting castle walls are a treat to walk within. Grass has been laid between the walls making it appear as if it’s a green carpet, making the space ridiculously photogenic. The town offers plenty of cobbled streets, a healthy selection of stores to browse into and numerous eateries. As our legs ached, we were easily seduced by the prospect of a pizza cooked in a log burning oven. The pizza as predicted was delicious and I didn’t have a single shred of shame about the money I spent on it. 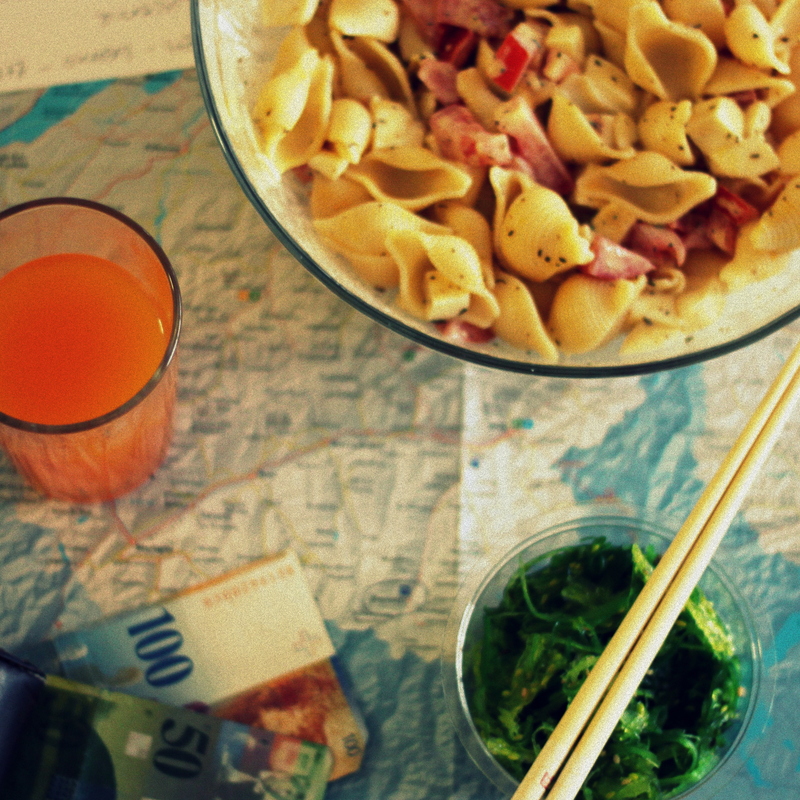 The Italian part of Switzerland had been good to us, welcomed by its beautiful scenery and bribed by the delicious food I could easily see this becoming a weekend favourite if I ever find myself living in Switzerland. It was a sleepy trip back to Zürich and unsurprisingly we were flat-out as soon as we hit the mattress. Well… at least Alex was. I had the beautiful melodies of her snoring to lull me to my dreams. This past week I journeyed to the land of the Swiss, the photo below exhibits some tasty food and juice which were consumed in the planning of various adventures around the country of cows and clocks. To our surprise we discovered that buses from Bangkok to Pakse were quite a rarity. After tedious negotiations with various local travel agencies we succeeded in securing two seats on a local bus. Our exit point, Mo Chit is by far the largest bus terminal in Bangkok, and as we descended from our tuk-tuk we found ourselves surrounded by swarms of people. For the first time in Thailand we were even subject to a few glances from the locals as we walked past. The atmosphere was exciting, the air was thick and humid, the sky outside was a dark navy and although weary, our eyes were veiled with the glimmering reflections of the fridge lights in the surrounding kiosks. Settling down at a food court somewhat reminiscent of a Singaporean hawker centre, we observed numerous interesting characters. Two women frantically discussed various make-up brands, a solo traveller sat a few benches in front of us discretely gazed at his smartphone and during my navigation to the restroom my attention was diverted by a women sat in a phone stall who proceeded to shriek as I walked past, hyperventilating in excitement. Although flattered as I was, I remained a little uncertain on what to do so I swiftly returned to the safety of our table. Finally commencing the journey to Pakse, I was reminded of the certain lustre that comes with being hidden behind a moving window at night. The direction of your passage withdrawn from your control, but inside you’re left free to gaze outs at the different individuals wandering random streets you’ll likely never pass again.The picture outside illuminated by the odd flickering street lamp portraying a constantly evolving cityscape as you progress towards your destination. It’s undoubtedly romantic. Kate on the other hand almost instantly was engulfed by her exhaustion from the busy day and was fast asleep next to me with her mouth open. I’m not too sure how pleased she’d feel if I shared the photographs. Upon awakening after the Thai-Lao border crossing, the scenery outside was no longer composed of concrete highways and people scurrying like rats under the moon. We were in the countryside, exceptionally beautiful countryside. 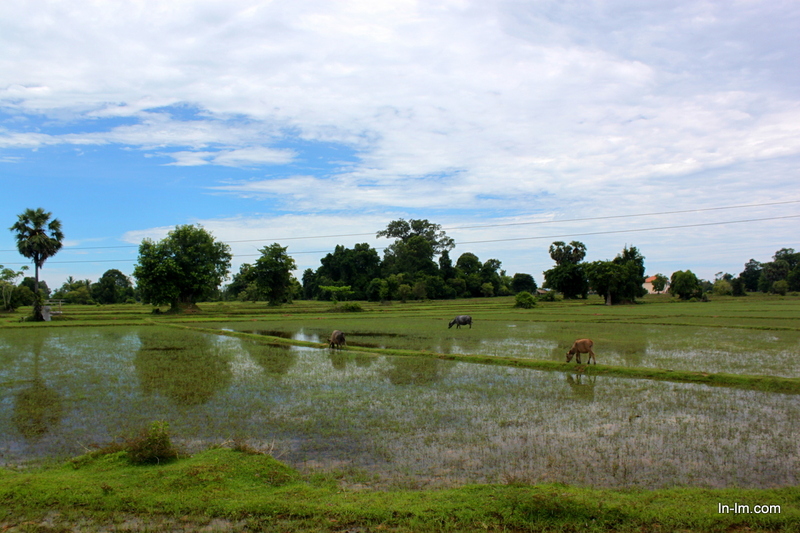 Paddy fields lined the roads with cattle carelessly roaming freely between them. The coach crossed a grand metal bridge over the Mekong to Pakse, one of the larger towns in the south of Laos. From here we boarded an exhaustingly sweaty local bus crammed full of people in thirty-seven degree heat followed by a small wooden boat to reach the Mekong river island of Don Det (Part of the 4,000 islands). 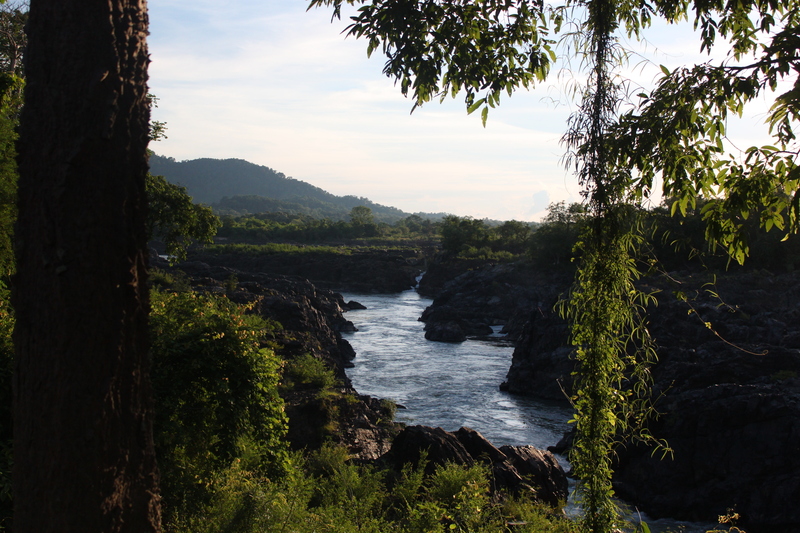 Upon our arrival that evening we were depleted of energy and eager to get some proper sleep, we managed to fit in a short walk in the nearby countryside, dinner with some German girls we met aboard the bus and a night-time dip in the Mekong. Our undersized cabin was beautiful despite the rough edges and recurring evening invasions by river bugs who flocked in their thousands to ensure our light had company. Our front porch possessed a view of the Mekong and some hammocks suitable for helping to appreciate the view. A good few hours were wasted here writing post cards and listening to music while the water passed by us. 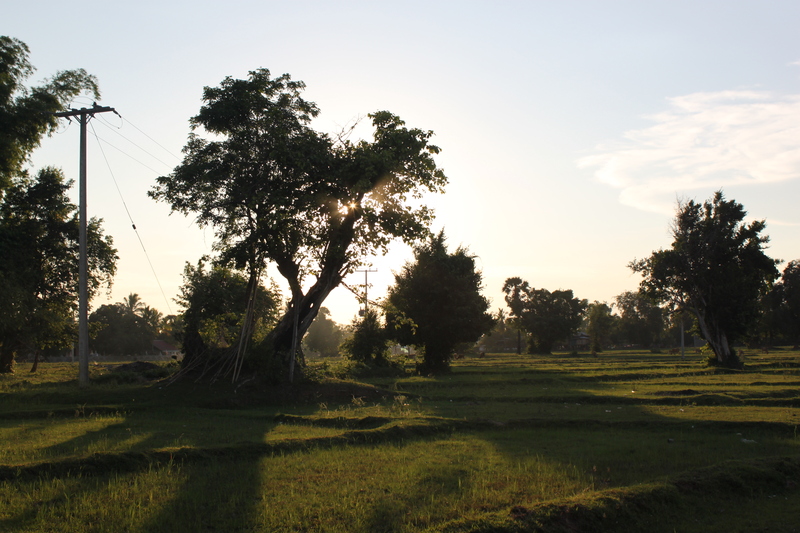 As the sun rose that next day, we waded out into the countryside in search for breakfast. Approaching a humble looking cabin we hopped inside, ordering some fried eggs and tomato coupled with some baguettes. Similar to the Vietnamese the Lao people accepted bread into their culinary culture during their time as part of the French colony. This was undoubtedly the best breakfast we had during all of our travels, cooked in plenty of oil it was a brilliant start to the day. Our chosen partners in our expedition for the remainder of the day were some rental bikes picked up at a local shop. Our tyres rotated endlessly onto the uneven dirt track as the heat of the sun pierced our skin, only comforted by the cool breeze created by the vast open space. Herds of cattle and water buffalo became recurring obstacles in our path. Ancient Palms and modest village shacks lay scattered across the horizon in the watch of the ground and sky, which intermingled via the reflections created by the flooded fields. Once emerged from the countryside and reunited with the banks of the mighty Mekong river, we chartered a small wooden vessel to reach the Cambodia – Lao border in search of the rare freshwater irrawaddy dolphins. The irrawady dolphins are few in numbers and were difficult to spot, the main give-away of their location being the magnificent sound made through their blow-holes when rising up for air. Sighting the dolphins peacefully floating downstream during the mid-day heat was one of my favourite moments from all of my travels so far, especially considering how rushed and full on our days seemed to be, it was pleasant feeling calm and content as our boat softly drifted around them in the peace of the open water. Conservation of these animals has only recently been brought to the attention of the locals and you can read more about the efforts being made here. All this peace and natural beauty led me to develop quite an appetite, reluctantly we pushed onto our pedals for a little while longer until some tables and chairs became visible between the trees. We pulled up and parked our bikes beside what looked like someone’s kitchen. The place was empty, a local woman sat patiently weaving a fishing net saw us from afar and greeted us, her children played blissfully around her, play fighting with each other and their pet dogs. We lounged as if dead on the plastic chairs, her husband emerged from the kitchen and greeted us whilst handing us some menus. It was low season and we were probably their only customers the whole day, this made most of the food in the 4,000 islands take a while to be prepared, we ordered the local speciality of fish larp served traditionally with sticky rice and raw vegetables. After replenishing our reserves I attempted to make conversation with the man, we exchanged a good number of smiles whilst I hopelessly experimented pronouncing various Lao phrases and he would reply using his hands and the odd word of English he spoke. On the whole we didn’t fare too badly, he managed to inform us the fish we had eaten was caught from the river nearby and pointed to the field where our rice was grown. After me asking about his family he later he introduced us to them. He mentioned different westerners who had come to his restaurant before us, showing us pictures photographers had taken of his wife in the past. I was successful in asking him when tourists first started coming, he recalled his first encounter with a western tourist was from as recent as ten years ago. The family was so kind to us and were very patient whilst we asked them question after question, we were sad to leave them but the sun drew closer to the horizon and the journey back to Don Det would be difficult at night due to a lack of street lights. Our final sight was the belittlingly named ‘small’ waterfalls. The sun peeked at us beyond the stones and the hills as we followed the waterfalls down to the so-called beach. Here I witnessed the most memorable sunset of my life so far. I desperately attempted to capture the magic of the moment through my lens yet failed to be entirely successful. The beauty of the moment lay within the distinctly coloured layers of the scenery. The sand lay together within the creases of the weathered limestone, both of them leading into the river overlooked upon by the hills and forests in the distance. However long we stayed and gazed at the landscape, it was simply impossible to tire of the view. My experience in the 4,000 islands of the Mekong in Laos was truly unforgettable, I would enjoy saying one day I would return, but my time there has left me with such special untainted memories I cannot help but fear of it developing and changing in any way. I can only hope future visitors will be respectful of the natural beauty and the lifestyle of the people who live there. 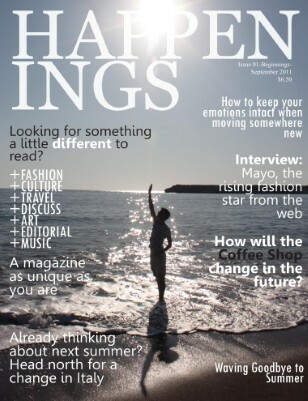 Fashion blogs can be undeniably dull on many occasions, it’s been a few years now that fashion blogging and street photography have taken the internet by storm. Due to the sheer amount of all this similar content, it can be easy to lose interest in this type of work. Street fashion photography highlights the everyday person from around the globe’s influence to trends and what retailers want to sell us. A good photographer can produce fascinating exhibitions of numerous people’s ways of self-expression. My good friend turned Instagram celebrity John Tan doesn’t have the word mediocre in his vocabulary. He is talented enough to produce instantly iconic photographs of impeccably stylish people he encounters on the streets of Singapore. His work has been featured in various exhibitions and websites including internet giant Buzzfeed. It’s good to go back to your roots every now and then. That’s what I’ve been doing for the past 19 years of my life. Every summer I’ve been spoilt rotten by being granted the privilege to escape the murky English summer and return to a place where I feel very much at home. 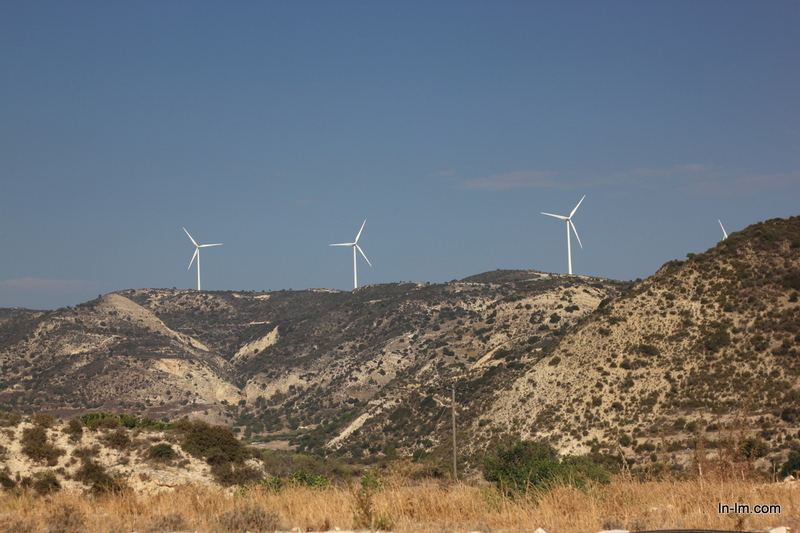 I have a huge adoration for my little island homeland in the Mediterranean sea and that’s why often when discussing Cyprus I can be very critical about the mentality of some of the locals, the government and the ignorant tourists who blissfully ignore the 1974 invasion in exchange for a cheap illegal holiday home in the north of the island. It’s safe to say my little island has had more than its fair share of problems and issues even prior to gaining it’s independence. Yet if you get the chance to take some time out and are willing enough to do a little exploration, you’ll understand why so many people, past and present hold a fond place in their hearts for my little island. 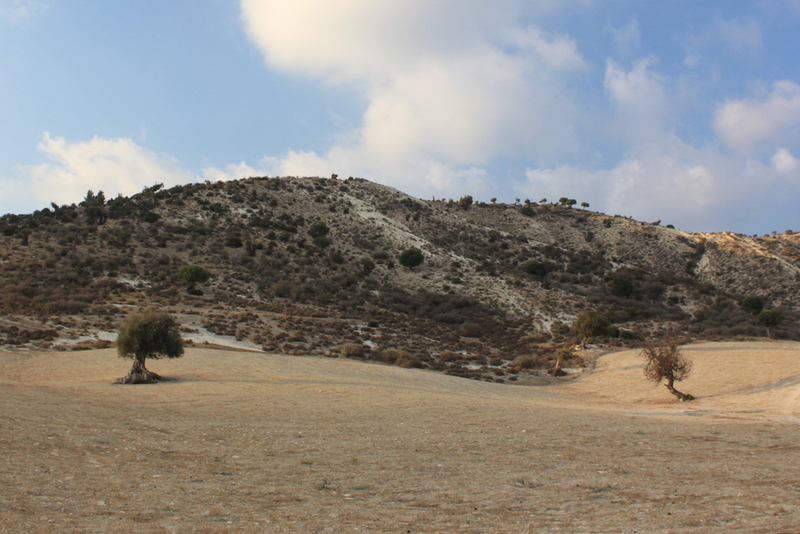 Somewhere beyond the financial crisis, swarms of Brits flocking to Ayia Napa and the often tasteless new architecture, there lies an untainted charming sun bronzed landscape painted with golden hills covered by olive trees and ancient relics waiting to be discovered. On this particular occasion I was not alone with my extended family. I was accompanied by my girlfriend who had no prior experience of a proper beach holiday. This I obviously had to correct. For two nights however I thought it would be nice to get away from the hustle of my beloved Limassol and give Emma a small peek at the more old fashioned Cypriot way of life. When browsing for accommodation I stumbled across various alluring hillside apartments and classical hotels. The typical beach-front hotels in Cyprus were too expensive for us to afford and knowing most of them I didn’t particularly feel the majority offered good value for money. My father then forwarded me a link of an attractive old building conversion into an inn. The price was very reasonable (roughly 50€ a night including breakfast) and they still had availability so we went ahead and booked it. Nikoklia Village is a tiny village and I had not previous knowledge about the area it was located. My grandpa proudly recollected some old memories telling us he used to know of two policemen he worked with from Nikoklia and how there was an abandoned Turkish village nearby. Without much idea of what to expect we set off just as the sun started to dim and in about 40 minutes we arrived at our location, the Vasilias Nikoklis Inn. 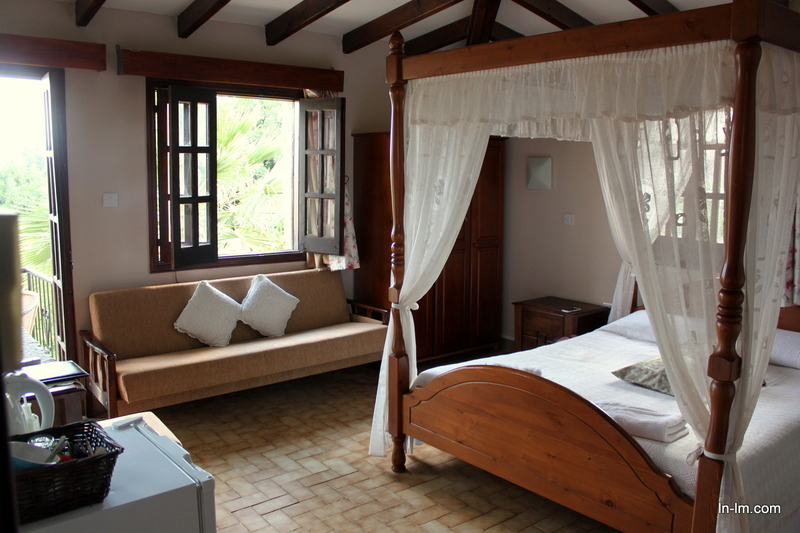 First impressions were good, the staff were friendly and the Inn was furnished in Cypriot antique furniture. The conversion of the building has been done very tastefully and we were lucky to have a beautiful balcony overlooking the countryside. A few minutes after arrival we embarked on a small wander around the village itself. The village is definitely on the smaller side, people were very friendly and greeted you as you made your way down the street. A beautiful little church which broadcasts the service to the village via speaker phone can be found near the bottom of the village. Various abandoned buildings are also dotted in the nearby countryside. Unfortunately we didn’t have time to make it to the abandoned Turkish village just north of Nikoklia, we did however manage to catch a glimpse of it from afar and it looked very eerie. I’m sure it would make a brilliant subject to photograph, hopefully I’ll return another year to have a go at capturing the scene. 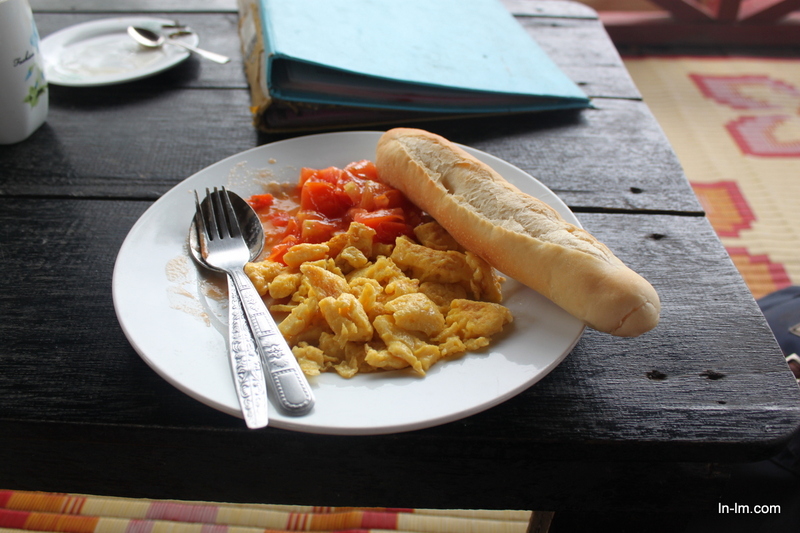 In terms of food the village doesn’t offer many options and we had all our meals at the Inn. Food is available from the tavern which opens in the evenings, the menu is full of traditional dishes and the prices are quite reasonable too. I would really recommend the ‘Mixed Grill’ option which consisted of some lamb, sheftalia (a type of sausage), chicken and pork souvlaki served alongside local fried potatoes, all the meat was cooked to perfection and currently writing about it is waking up my appetite. My favourite Aussie band are about to set off on their European tour, Panama have been gaining a notable following around the globe for a while now. Their ‘Always’ EP in 2013 was one of my favourite releases from that year and this new track available for free doesn’t disappoint. I feel they’ve got a really distinctive sound and it’s great to hear some new stuff from them. New artist ‘Nao’ has been recently introduced to the masses by popular act Disclosure who gave her a shout out on their facebook page. Elements of the track are slightly reminiscent of some of Jai Paul’s earlier works yet ‘So good’ has a jazzier sort of vibe. There’s a lot of hype around Nao and I’m excited to see what she’ll release next. Fourth up is another free track available to download. It’s new material from Peckham’s finest Katy B. ‘Little Red Light’ is a groovy production with a little Reggae influence thrown in to keep the track fresh. The fifth and final feature for this month is possibly the best remix of ‘Put your records on’ I’ve ever heard. The rework comes together beautifully and oozes a smooth and seductive vibe. The perfect track to see off this year’s summer.